I've been meaning to try Stoke's Grill for a while now and a friend mentioned she needed to use her Groupon, so off to Stoke's we went! Stoke's is a pretty casual place that serves such items as soups, salads, sandwiches, and burgers (see link to website below for full menu). The food was great and lived up to the hype I've been hearing. 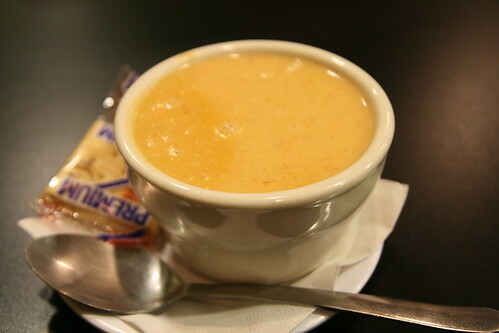 I wasn't initially going to get soup, but then noticed the Crab Bisque on their daily soup menu just as I was about to place my order. How could I pass that up?? And I'm so glad I didn't because it was delicious! For my meal I decided to try something different and opted for the Monte Cristo, which I'd never had before, but from what I understand everyone makes it their own unique way which is why it's something good to try if you're looking for something different! 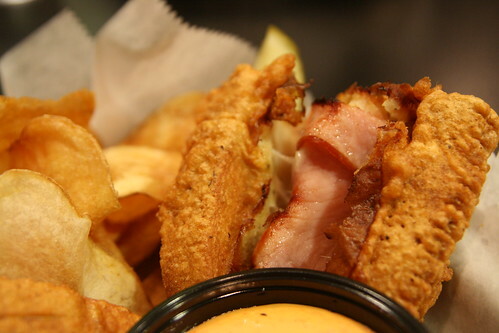 Stoke's Grill's version has ham, turkey, and provolone cheese, dipped in an egg batter and fried. 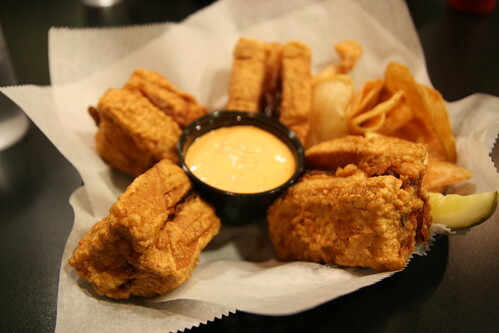 The sauce is a red pepper aioli. Boy, am I stuffed!